On a platform where most members post content ranging from DIYs, makeup tutorials, comedy skits and pranks, among other interesting stuff, Lui Calibre reigned supreme when he brought something different on board. Although he created his YouTube channel in 2009, it took the online star more than a year to upload his first video and we weren’t ready. On his self-titled channel which was initially dubbed YourHeroes, Lui posted his first video which turned out to be footage of the games Red Dead Redemption and Halo, quite different from what was in vogue at the time. But creating something unique from the rest of the bandwagon paid off for Lui and soon, his subscribers began to troop in, gathering in their numbers and the same can be said for his channel’s viewership. Currently, Lui is popular for his Grand Theft Auto gameplay which is what he spends his time on after he’s done with pranking and trolling his fellow game players. Not one to share personal details with his online fans, Lui Calibre’s background details are not available for public scrutiny. His birth, however, occurred on July 4, 1984, in California. In the absence of details about his early years and educational background, let’s dwell on the one thing Lui Calibre is popular for. He started his unorthodox channel on YouTube in 2009 and commenced posting on it a year later, precisely in May 2010. The self-titled channel boasts of content that is unique in many ways. Asides being exclusive for games and other content like pranks, Lui’s special way of presenting makes his videos stand out from the pack. With his unprecedented high-pitched squeaker-voice which he brings to his gaming commentaries, the YouTuber attracts a lot of traffic (more than 5.1m subscribers) to his domain. His numerous online fans are not dormant ones as they have helped him accumulate a whopping 500 million views and counting. Although Lui began with sharing games like Red Dead Redemption, and Halo, at the onset of his online career, the internet sensation is now popular for displaying some mindblowing strategies in games like GTA and GMOD. 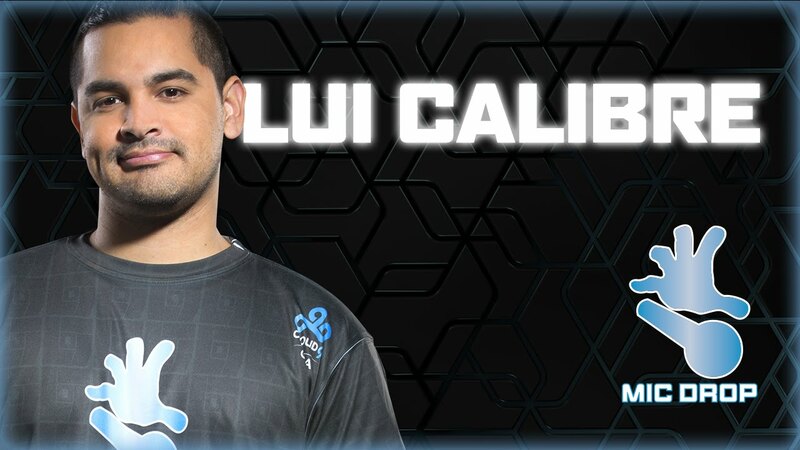 Lui also has his fans hooked on his channel with gaming sessions of CoD, WWE, and Borderlands 2. Here, he mixes his tackling and intense gaming skills with hilarious moves that leaves his viewers in stitches. These are part of the features that make Lui Calibre stand out from the rest on the platform. Lui is quite gifted when it comes to creating fun out of anything. He applies this rare sense of humor, coupled with the trademark squeaker voice he thrills his fans with, to make his content special. Anyone visiting his channel should be ready to be amused in no time, irrespective of the mood they were in. What’s more, Lui Calibre gets better with each game and has never stopped enthralling his millions of fans each time he comes online. 1. Lui’s personal life has remained a mystery to his millions of fans. He prefers to keep things on a professional level, focusing the spotlight on his career. However, there were claims that he might be dallying with gamer/YouTuber Jonna Mae but that was in 2013 and the duo is said to have gone their separate ways. He was later linked to cosplayer and Twitch star Emily Rexz. 2. For his GTA character, Lui Calibre uses a brown monkey mask, accessorized with a Canadian parachute bag, a trademark look that has become very popular. 3. He makes use of BMO, “Finn and Jake’s living console” from Adventure Time, or a static Sonic the Hedgehog as his character while playing in Gmod. 4. An animal lover, he has been a volunteer at pet shelters where he has also worked for more than 20 years. 5. Asides his stint on GTA and Gmod, the YouTuber has plied his trade on other games such as, but not limited to Borderlands 2, Call of Duty 1, DOOM, WWE 2K14, and Far Cry. 6. He lost about 2.4% of his followers on YouTube and some on Twitter after tweeting that he only creates his content for the money and how his fanbase is insignificant to his success.